Nintendo has done a lot for nostalgic gamers with the release of its NES and SNES Classic Edition consoles. The pint-sized remakes are loads of fun and make for great conversation pieces but they’re not without faults and shortcomings. Nintendo’s mini systems are true plug-and-play machines as they come pre-loaded with a selection of hit games. You also get a controller (or two) and an HDMI cable to connect to modern televisions – pretty much everything you need to get up and running. Unfortunately, that’s all you’ll ever get as the system’s library of games isn’t officially expandable. Worse yet, you can’t simply pop in an old game cartridge nor can you use legacy controllers or accessories. This latter setback is especially frustrating if you happen to have a collection of retro games lying around. Analogue Interactive, the company behind several classic console remakes, is addressing the matter with its latest product. The Super Nt is a retro-inspired remake of Nintendo’s original Super Nintendo Entertainment System with some noteworthy upgrades. Compatible with the 2,200+ SNES and Super Famicom game cartridge library, the system offers 16-bit gaming in up to 1080p quality with aspect ratio preservation, multiple video resolutions, scanlines, scalers and more. It’s also compatible with all original hardware and accessories. Analogue Interactive describes it as the definitive way to explore Nintendo’s 16-bit era. 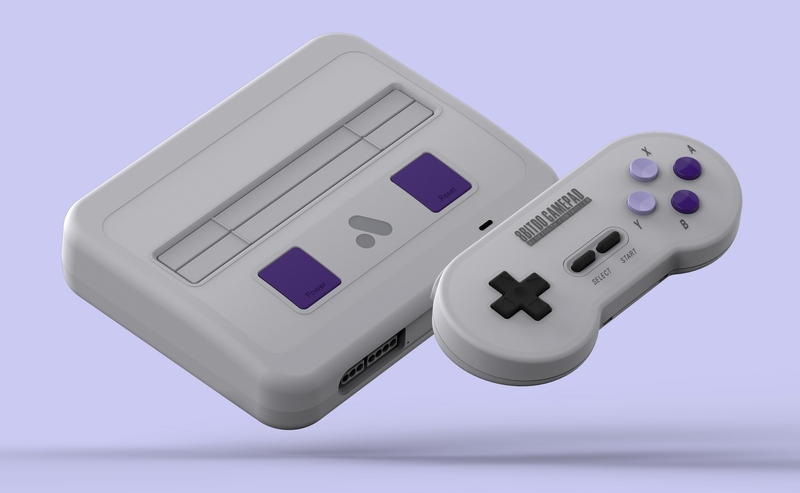 The Super Nt Mini is offered in four color schemes – black, classic, Super Famicom and transparent – and will ship next February. Pricing starts at $189.99 for the console by itself (no controller is included). That’s a bit more than Nintendo’s $79.99 MSRP for the SNES Classic but it may make sense for those looking for a superior gaming experience and who want to use original carts / controllers.